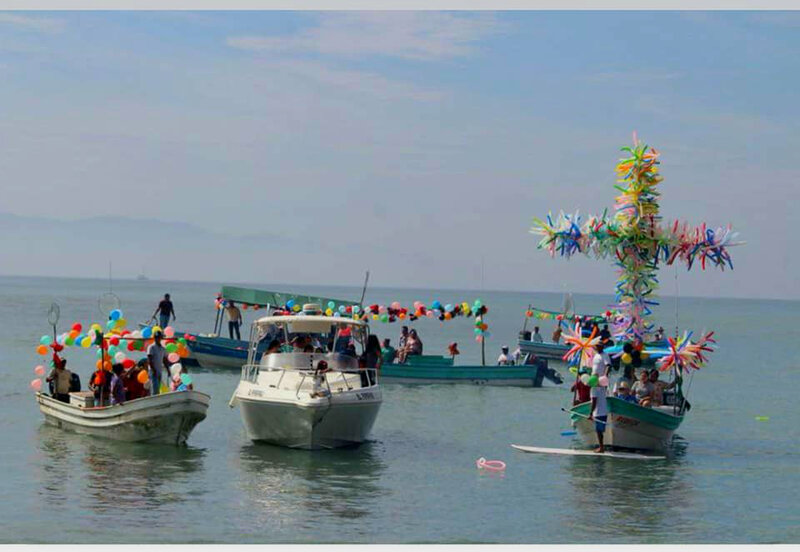 Religious, cultural, and artistic activities are set to take place from January 16-24, including the traditional over-water pilgrimage by the fishermen and their families that starts in La Cruz de Huanacaxtle. Bucerías, a coastal village in the Riviera Nayarit, is hosting a celebration in honor of Our Lady of Peace from January 16-24 and it’s a great tourist attraction. The festivities include a week-long program with athletic, artistic, and cultural activities in addition to the religious acts. It all starts with novenas of pilgrimages and masses in honor of the virgin on January 16th and ending on the 24th. 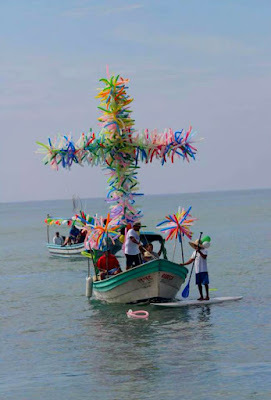 This is the most important day, as families from Bucerías and nearby villages gather at the beach across from the town’s main plaza to welcome the traditional pilgrimage by sea. The procession is led by the local fishermen, who carry the Peach Torch over water all the way from the town of La Cruz de Huanacaxtle, a yearly event that’s taken place for the past 56 years. Once they arrive in Bucerías, the fishermen head to a mass held at Our Lady of Peace, where they gather with other fishermen from the surrounding areas to pray for a year of good fishing, tourism, health, and prosperity for their families. 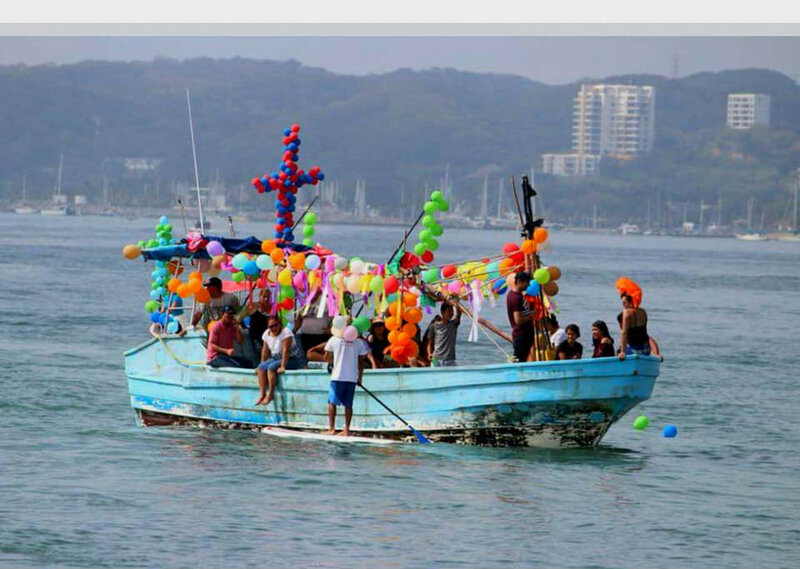 The CVB and the AHMBB extend an invitation to everyone in Bahía de Banderas and adjoining municipalities to come join in this traditional festivity, which has become a tourist attraction. + Nine community sectors participate in the novenas with their respective pilgrimages and parade floats honoring the virgin. + Every day starting at 6 a.m. the faithful make a pilgrimage to the church to sing the traditional Mañanitas to the virgin; in the evenings at 8 p.m. the town hosts a cultural-musical festival in the plaza. Bucerías is everything that comes to mind when a visitor imagines an “authentic Mexican village.” Boho souls and art lovers looking for a peaceful escape will find tranquility, a wonderful wide beach, and plenty of tradition. Those in search of adventure will find many options: surfing, kitesurfing, paddle boarding, fishing, snorkeling, zip lining, and tours on bike or horseback. The town is also home to luxury hotels, gourmet restaurants, and offers endless activities in the area. 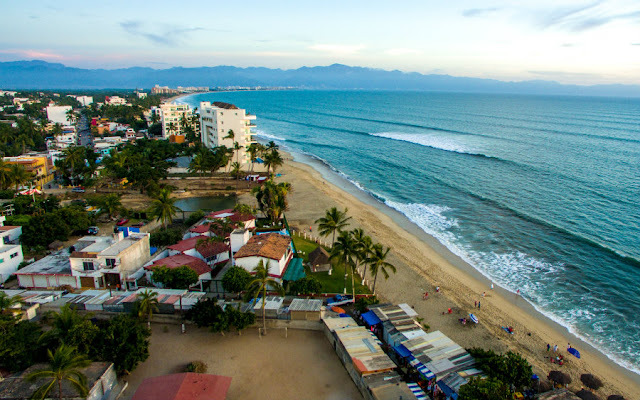 Bucerías is close to Nuevo Vallarta and Flamingos, which is a perfect combination for a wonderful vacation stay in the Riviera Nayarit. The Riviera Nayarit Convention and Visitors Bureau (CVB) and the Bahía de Banderas Hotel and Motel Association (AHMBB) reaffirm their commitment to the strategic promotion of the destination, pursuing areas of opportunities such as religious tourism and consolidating new markets to increase the number of incoming tourists with the support of the Government of the State of Nayarit via the Tourism Promotion Trust (Fiprotur).